Shaun, Willis, Darren, Mike, Nathan and Matt with catch! 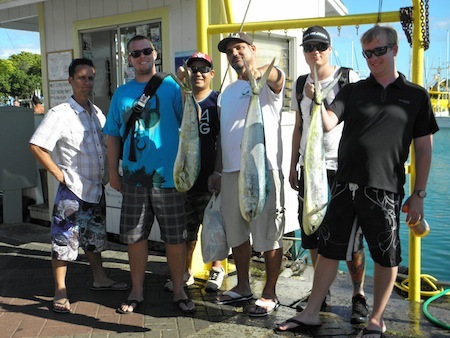 Mahalo to Shaun, Willis, Darren, Mike, Nathan and Matt for choosing Maggie Joe Sport Fishing. The group departed Kewalo Basin, next to Waikiki, on a sport fishing charter. 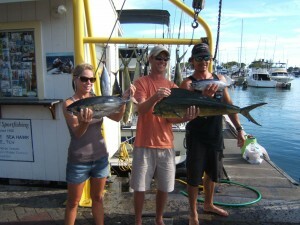 They spent the day deep sea fishing outside of Honolulu, Hawaii and reeled in 3 mahi mahi! Aloha! 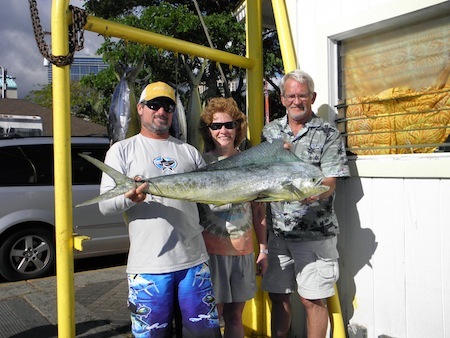 Mahalo to Mark and Robin for choosing Maggie Joe Sport Fishing! 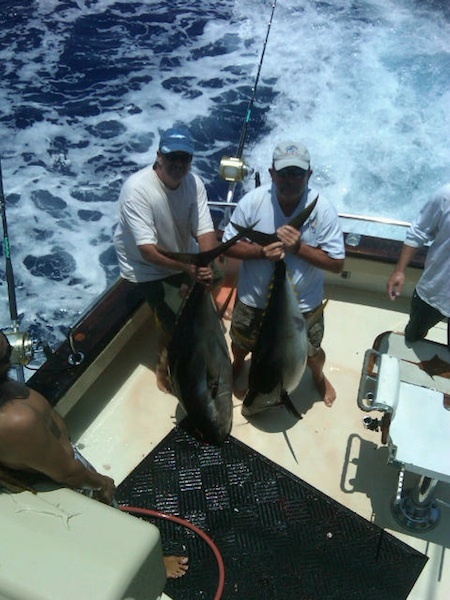 The pair went out on a sport fishing charter aboard the Sea Hawk on 6/30/11. They spent the day deep sea fishing outside of Honolulu, Oahu and caught this nice size Mahi Mahi. Aloha and great job! 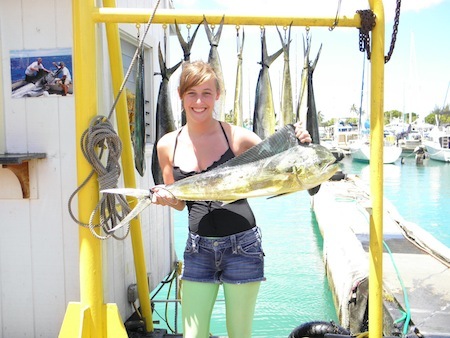 Nickie with her Mahi Mahi! Michael, Nickie, Steve, David, Matt and Leanne with 10 Mahi Mahi! 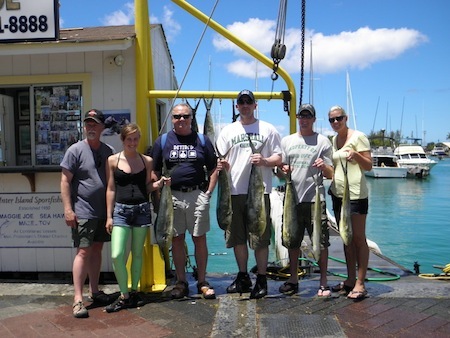 Mahalo to Michael, Nickie, Steve, David, Matt and Leanne for choosing Maggie Joe Sport Fishing. 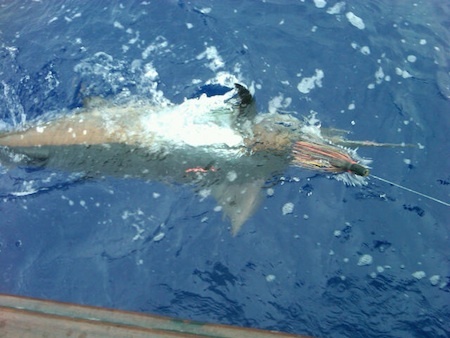 The group went on half day sport fishing charter aboard the Ruckus on 6/30/11. After spending the charter deep sea fishing outside of Waikiki, Oahu the group hauled in 10 Mahi Mahi! Aloha and great job! The Henson's and Mate Damian with catch! 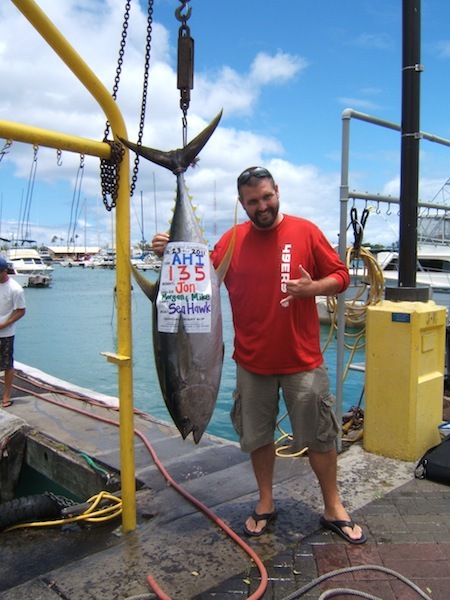 Mahalo to the Henson’s for choosing Maggie Joe Sport Fishing! The couple departed Kewalo Basin, next to Waikiki, aboard the Sea Hawk with Captain Mike and Mate Damian early in the morning of 6/29/11. They spent the day deep sea fishing outside of Honolulu, Oahu and were able to catch 3 shibi, 1 aku, and 5 mahi mahi! Great job and Aloha! 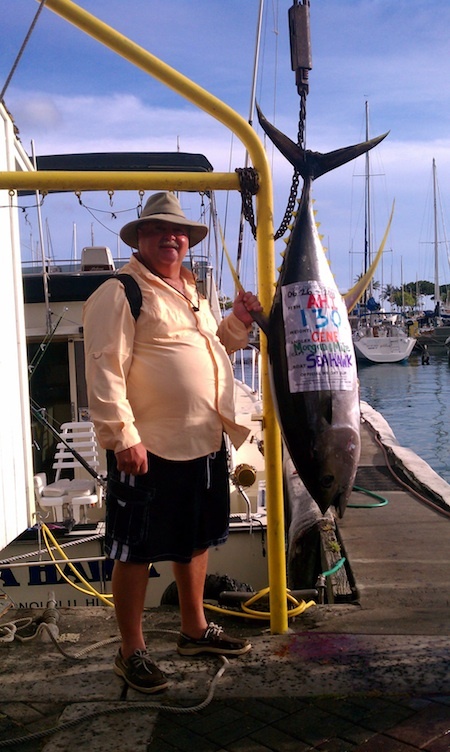 Mahalo for choosing Maggie Joe Sport Fishing, Gene! Gene caught this 130 lb Ahi while deep sea fishing outside of Honolulu, Oahu on a sport fishing charter aboard the Sea Hawk on Sunday 6/26/11. Great job and aloha! 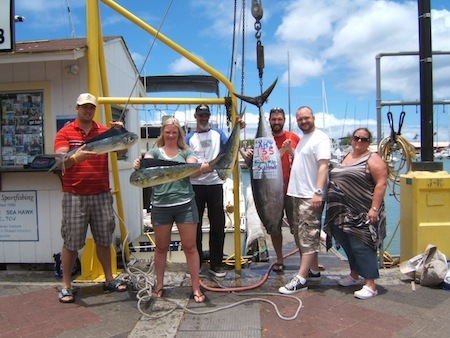 Kathy, Jordan, Travis, Tracy and Neil with Ahi and 2 Mahi Mahi! Mahalo to Kathy, Jordan, Travis, Jon and Neil for choosing Maggie Joe Sport Fishing! 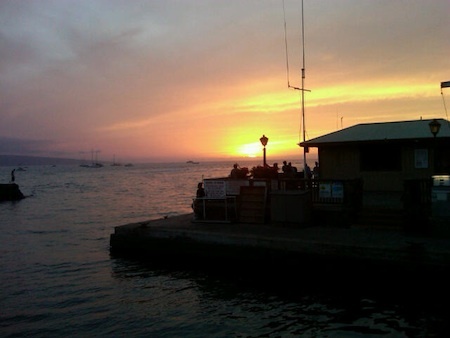 The group departed Kewalo Basin, next to Waikiki, early in the morning of 6/23/11 on a sport fishing charter aboard the Sea Hawk. Captain Morgan found the fish for the group as Jon was able to reel in this 135 lb Ahi while deep sea fishing outside of Honolulu, Oahu. Great job and we can’t wait to see you guys again! Aloha!